Looking for a great summertime read? 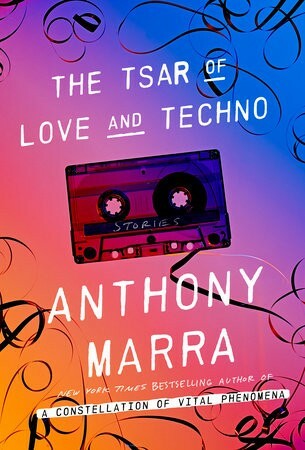 Besides the impressive list of recent releases by our regional writing community, definitely check out the 15th annual Spokane is Reading selection: The Tsar of Love and Techno, by Anthony Marra. The 2016 selection for the community reading program, which culminates with an October visit from the author, is a collection of interconnected, historical stories set in 1930s Soviet-era Russia. The dismal setting of a country and its people in turmoil is not unfamiliar to Marra — his New York Times-bestselling first novel, A Constellation of Vital Phenomena, was set in wartime Chechnya. That it is neither is a testament to Marra’s seamless prose, telling use of detail and brisk pacing. The narration throughout is particularly agile — the stories move between first and third person... Marra endows each of his narrators with a distinct voice, particularly Alexei, who dreams of being a professional aphorist and tends to sound both endearing and comically overwrought..."
Find the book at Auntie's Bookstore, or check it out from the Spokane Public Library or the Spokane County Library District; as each are co-sponsors of the ongoing program. This year's Spokane is Reading events are set for Oct. 27, with sessions at 1 pm in Spokane Valley and at 7 pm at the Bing Crosby Theater. Both events are free and open to all.